PRE-REG VACANCIES within our innovative multi-award winning Healthy Living pharmacy group based in Bristol/South Gloucestershire. We offer a multi-faceted work environment which affords broad and interactive learning and application.We provide essential and advance services alongside Private and funded enhanced services. 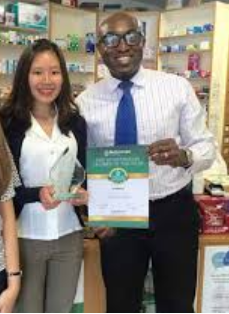 As a pre-registration pharmacist, you will work alongside our team of friendly experienced pharmacists, dispensary and healthcare colleagues.Your Training Plan with study time allocation, will also include external clinical off-site study days to prepare you for your exam and future practice.